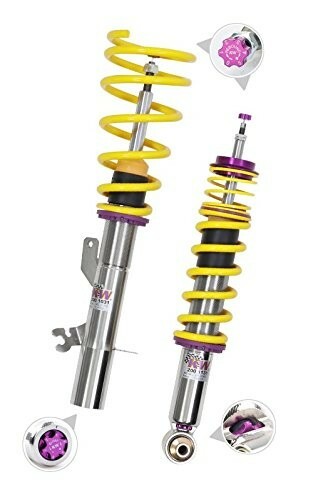 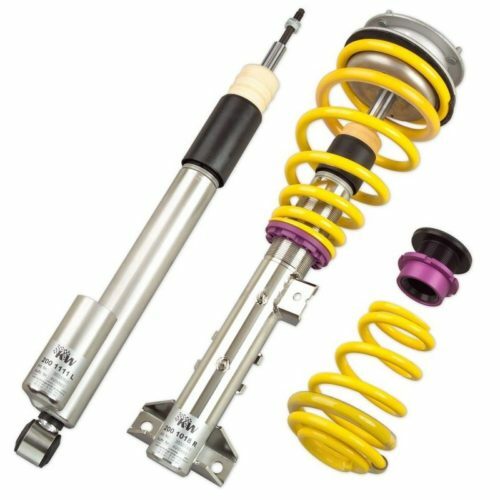 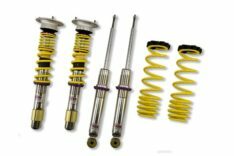 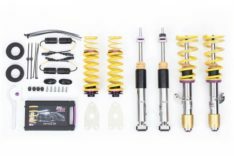 The new KW Variant 3 Coilover System is state-of-the-art technology for the skilled and experienced driver. 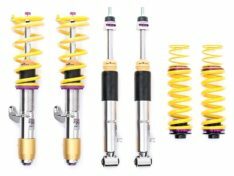 The separate and independent compression and rebound damping options allow a truly individual driving set-up. 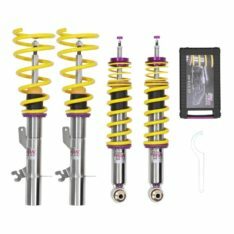 These unique systems with the 3 individually adjustable components, allows for adjustment of the compression of the damper in the low-speed range, while the highspeed set-up, so decisive for driving comfort.